Creating a Will is something that most people think about doing, but more often than not it will get pushed to very bottom of the to-do list, and then forgotten about. It’s not an especially pleasant thing to think about doing, but it is the most important document you can ever write. Creating a Will means that you are being clear about what will happen to your property and your assets in the event of your death; and will make the process of administration significantly easier for your survivors. If you do not make a Will, you run the risk of your money, property, and other assets, not being dealt with in the way you expected, and you might even find that a significant portion of your estate will be taken for tax purposes. This might also be the case if your Will is homemade or drafted incorrectly. It’s therefore important that you seek experienced and professional legal advice. Sam Hawking Property Lawyers have years of experience in writing Wills, and making plans to ensure the right people benefit from your estate. You may have tangible wealth, or important sentimental items, but whatever is important to you, our expert property lawyers can produce carefully tailored solutions to ensure your wealth and assets are protected according to your wishes. 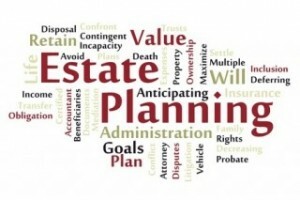 When you are drawing up your Will, it will go hand in hand with dealing with inheritance tax. Inheritance tax is a government tax that takes a percentage of your assets when you pass away, yet a large amount of people will often forget to deal with this aspect of drawing up your Will. Currently, you can leave £325,000 of inheritance without your beneficiaries having to pay tax on it, but any amount above this is subject to Inheritance Tax of 40%. There are certain exemptions from inheritance tax. Any assets left to a married spouse or civil partner are also exempt from inheritance tax. It is important to seek legal advice so you can be sure that all aspects of your estate will find their way to the people and the places you want them to. At Sam Hawking Property Lawyers we regularly assist with Wills for a wide variety of different clients and estates. We are able to guide you through the entire Will writing process, and lend our professional expertise so that you can be confident of having your estate in order. We can also smoothly carry out regular reviews of your Will to ensure that any change of circumstance is wholly accounted for.